I was in a 24 lane center in the Midwest last week working with a long term client. Over the years, we had become close and I could almost gauge his moods as soon as I saw him. This time, from the moment he said hello, I knew something was up. George had always taken great pride in his center, and had the respect and admiration of his employees and customers. While his league bowling had been falling over the years (although less than the national averages) his open play was rocking. His center was immaculate, up to date, and was in great shape. His staff was friendly and willing to bend over backwards to take care of his guests. His food was well above par, his adult beverages were a good value and everything seemed to be running smoothly. In addition, he had about 750 adult league bowlers, 175 youth bowlers and about 150 seniors. He was doing a lot of lineage and generating a lot of revenue. I couldn’t argue with him. He was right it would happen; people would be going there to see what it was like. We would have to create some excitement and do some different things. So we brought out the white pad and pretty soon we had a whole wall full of ideas. One of the main things we realized was that George (the proprietor) had never told his “story,” even though we talked about it often. We set about telling his story, writing about how he got into the bowling business, what it means to him and “why he got into it.” This was one of our major strategies and from it we would build “George programs”. By the time we got finished, we had a digital marketing strategy, a loyalty program for his existing clients and a new customer “join the family” program. We built a series of promotions, value added programs, exciting premium programs, and new customer programs and timed them to start when our new competitor would begin his grand opening programs. We were going be the “home town center.” We were going to be the “anti-big company”. We were going to be everyone’s comfort place; we were going to be part of the fabric of the community and talk about the fund raisers we had done and the little leagues we had supported. We were going to be what we already were. “We Do One Thing. Bowling. And We Do It Better Than Anyone Else.” … because we have stories and testimonials to prove it. It wasn’t hard to build this comprehensive strategy. 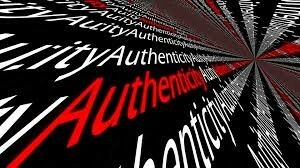 All we were going to do was tell the truth; be authentic and stick to our core values. George knows he can’t be an FEC, but he now knows that being the best version of his business is his best strategy. I think George is going to do all right. Do you?